It’s that time of year when summer is at its fullest. There are plenty of warm days where everyone is outside taking in the lakes, parks, events, concerts, and festivals. It seems every day, and well into the evening, downtown Madison is buzzing with people walking around, finding fun things to do and dining out at so many fantastic restaurants. 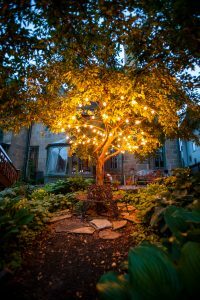 Coinciding with all this activity, it’s also the time of year in Madison when the plants, gardens, and trees seem to be at their peak. A neighbor calls this the “full riot of summer” where every plant and flower has shot up, has bloomed, is blooming, needs trimming, or is getting ready to grow more heading into fall. 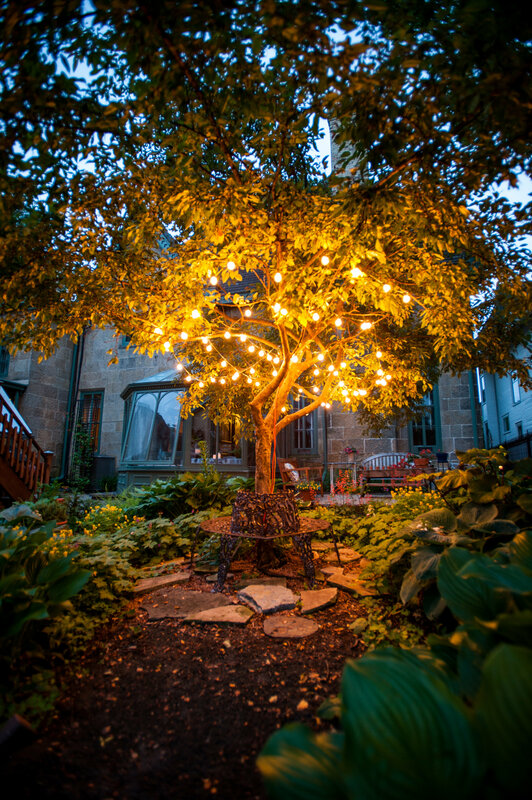 Walking around neighborhoods, parks, or through Olbrich Botanical or Allen Centennial Gardens, there is so much beauty in all the varieties of flowers and plants enjoying the summer. At this time of year, though, I also often think about what Madison looked like before humans tamed it. What did it look like before trees were planted along streets, grass was seeded, and all types of plants and flowers, not necessarily native to the area, adorned the many manicured flowerbeds and gardens? Thankfully, there is a place right in our city to find that answer. 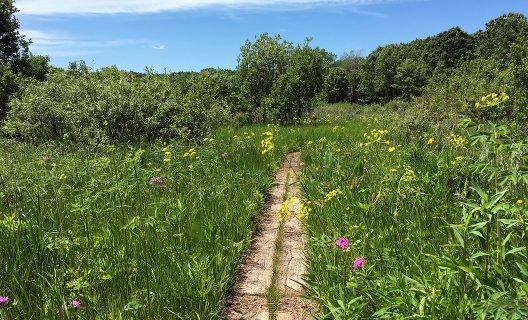 The UW-Madison Arboretum sits on 1,200 acres on the near west side of Madison, and it’s a place where you can see firsthand what Madison may have looked like before an influx of settlers changes its landscape a couple hundred years ago. 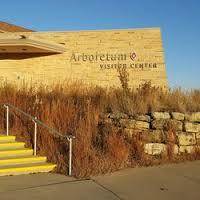 The Arboretum is a beautiful setting with an ecological restoration of the Upper Midwest prairie along with some traditional horticultural arrangements of labeled plants in garden-like displays. Several well-known figures in Madison’s history had a hand in the making of the Arboretum, including John Nolen, Michael Olbrich, and Aldo Leopold. It’s important to understand the Arboretum is not on acreage untouched for hundreds of years. Instead, as first proposed by Nolen in 1911, it was the vision of early residents to take farmland in Madison and restore an historic ecological community. It was Olbrich who convinced the UW Board of Regents to aid in the land purchase of the first 246 acres acquired in 1932, growing to 500 acres two years later. 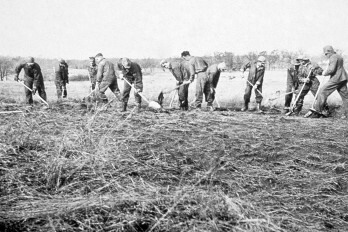 Following the land purchase, the Depression-era Civilian Conversation Corps provided the supply of workers who turned the farmland into a prairie restoration. 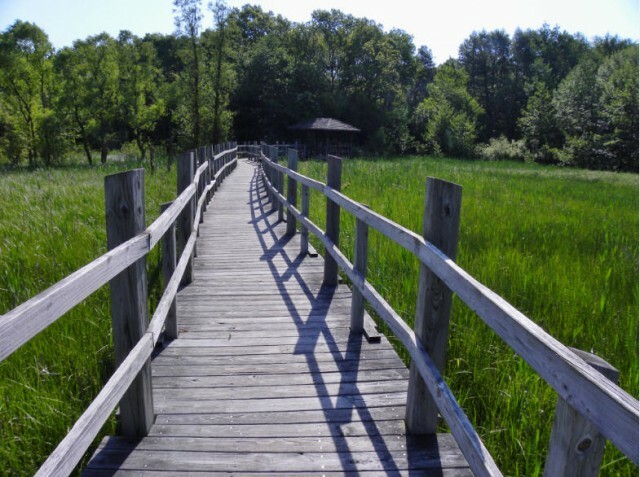 Through additional gifts and purchases, the UW-Madison Arboretum has grown to its present 1,200 acres and features an abundance of hiking trails as well as options for bikes, cars, skis, and snowshoes. The trails and roadways will take you through areas restored as if you were in Madison hundreds of years ago. An outing to the Arboretum may involve encountering wild turkeys, turtles and other wildlife, or in addition to the hiking trails, touring three of the gardens where you can discover an impressive variety of woody plants, Viburnum, arborvitae, and other native plants. There’s also an outstanding Visitor Center and plenty of volunteer and educational opportunities. 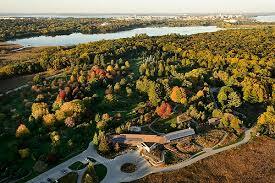 Today the Arboretum is undoubtedly the gem of Madison. While we love our lakes, plentiful parks, and neighborhood communities, the Arboretum, while large in size, quietly holds its place among us. Many days most residents likely forget it’s there, some not noticing it even when going around its edges on Madison streets and highways. But when we need a refuge from the busy and growing city around us, it’s always waiting there for us, allowing us to take a peaceful walk through it and marvel at the beauty and simplicity of a natural ecosystem. You can bike in the Arboretum and on Sundays drive through it from one side to the other, but the best way to enjoy the Arb is on foot. The website has an easy-to-read map noting parking lots for trailheads. An ideal first trip would be to drive to the Visitor Center and make time to hike through at least a couple of the gardens and then venture out onto one of the many hiking trails. If you like to ski or snowshoe, take note of areas you’d like to return to when winter comes to our area (note: some trails are for hiking only). 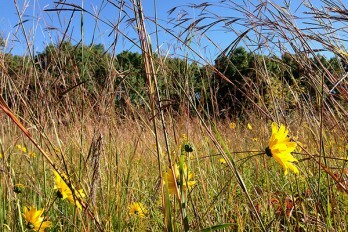 With summer in full bloom, I strongly encourage you to put a trip to the Arboretum on the top of your list. While the excitement of summertime in the city is all around us right now, including beautiful flowers and plants, the Arboretum is a perfect respite to take a few steps back in time and picture the natural beauty of our area. It’s an opportunity to enjoy it now and enjoy as it always was.